Compost tea can be an effective strategy for balancing feeding schedules. But in the case of compost tea, more is not necessarily better. In fact, over application can actually cause significant soil imbalances. Many times, the problem of over-application of compost tea becomes compounded when the soil remains over-saturated for too long after the application of compost tea, especially if it is being used at every watering. If the microbes have a big boom cycle but then the soil is water logged, the bust cycle will lead to a much quicker anaerobic state, which can lead to a number of different problems. There are many instances where compost tea is only applied 1x month to outdoor plants with excellent results. Just because you are seeing excellent results with compost tea, doesn’t mean that adding more will work even better. 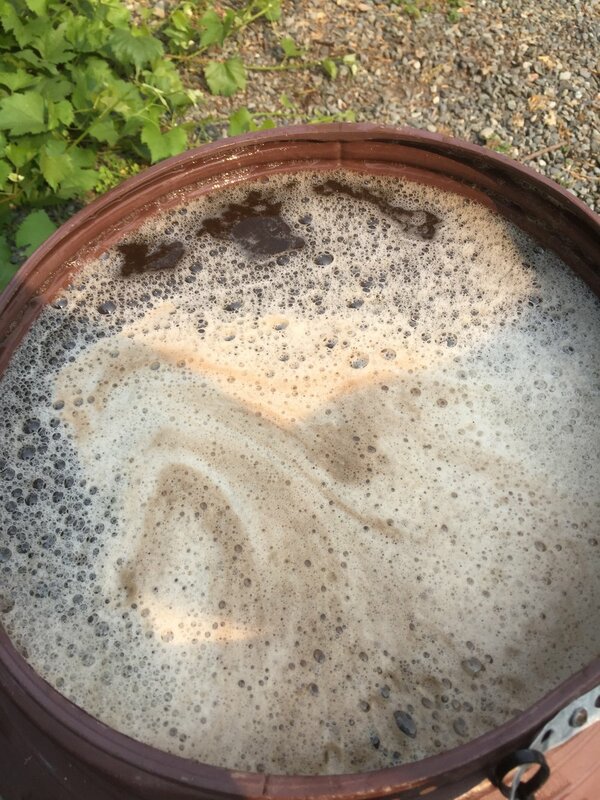 This compost tea was tank mixed with a few biostimulants just prior to watering. A very successful regime observed in Humboldt County involves transitioning between liquid fertilizers, compost teas and watering. So one would use their liquid fertilizer on the first watering, the second watering would be the compost tea and the third watering would be plain water. Depending on site specific conditions, you may want to repeat that schedule or mix and match in different patterns. Some growers dilute the tea and some apply it as full strength. Sometimes they mix it with liquid fertilizers. 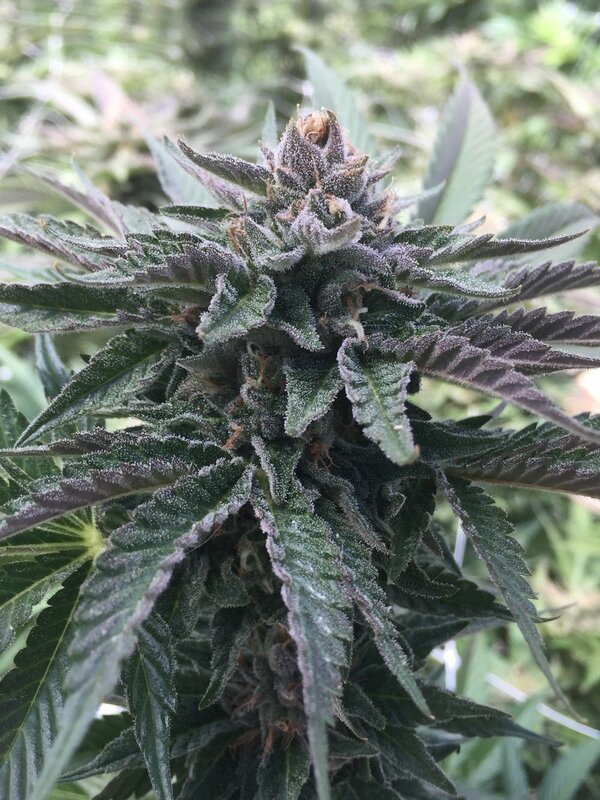 Some growers pre-amend their soils with organic fertilizers and then simply use compost tea periodically (~1x-2x month) throughout the growing cycles. All the additional ingredients you add will depend on your knowledge of the plants life-cycle and current soil biology. There are ways to brew grow teas, bloom teas, high bacterial teas, high protozoa teas and fungal teas. People use molasses, fish hydrolysate, frass, alfalfa, glacial rock, kelp, straw and many other ingredients, but the backbone always starts with a HIGH QUALITY compost or castings. That’s the quick lowdown on compost tea feeding schedules, if you feel like you have something to add or would like to share your regimen, please utilize the comments below. Happy Brewing!!! As growers we always seem to be searching for the next level. Larger yields, higher quality and ways to cut costs are the general directives we aim to achieve. Within this industry however, there seems to be an overuse of synthetic fertilizers with little understanding of the biological systems involved in nutrient uptake and disease control. Many inexperienced growers overuse synthetic fertilizers, hoping that more nutrients means higher yields. All that really happens is a massive salt buildup, which leads to dead microbes, nutrient lockout, a lot of flushing and heavy fungicide spraying.